I’ve been slowly trying to go through my backlog of tag posts. 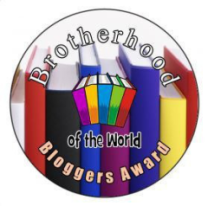 I’ve been failing… But today I take one small step towards that ever-evasive goal by answering Merlin who was kind enough to tag me for the Brotherhood Award! This is the first and only time I’ve had this type of tag which encouraged me to give it a go. It’s a Q&A tag but Merlin came up with some nice questions, so I hope you find it interesting. I know Loved Merlin’s on post which you can read HERE! Will try and also Done! Here are Merlin’s question which he mercifully kept at 5! This is such a dorky and boring story but basically I liked Thyrion’s Game of Thrones quite “I Drink and Know Things” because I figured same – except the know things part. So I was trying to riff on that and figured I’d name the blog I Drink and Know Anime. However, I instantly had these flashes of people schooling me on anime and figured I better keep expectations more in line with reality and changed it to the very accurate I Drink and Watch Anime. I realize now that I probably lost any connection with the original quote and it just sounds like I’m bragging about my very enjoyable downtime but that’s ok.
As corny as it sounds, I like the connection to the community. I know I repeat this a lot. All the time really. By now I feel like I talk about the aniblogging community more than I do about anime. Oh well, just one more time won’t hurt, right? Finding a space to interact with generally like-minded people, who are for the most part inviting and sweet, has been an extremely positive experience. Eggshells I would say. This is by no means a generalized but once in a while I will accidentally come across a subject that seems to be very emotional for someone. Either I’ll write a post and someone will feel personally attacked (even though I can assure you it is NOT the case. I’m not classy enough to veil my attacks), or I’ll leave a jokey comment that will get taken way too seriously and I suddenly have to weigh every single word I write super carefully lest I offend someone. I would leave a lot more comments if I felt I could respectfully disagree with people but I have had experiences where anything other than praise was taken as an insult, so now I don’t take the chance until I know the blogger well. I have so many… Really we’ll be here all day. And it depends what you want to read. I have discovered so many incredible blogs on wordpress, if you have a specific in mind, let me know I’ll be happy to suggest something. But otherwise the question is way to wide for me to answer. However, I did recently stumble upon a non wordpress blog I am very fond of and you may not have found yet. Lately I’ve been visiting (this is a pun – I’m way too proud of it) Anime Journeys very regularly. I love it so much. You know that’s a great question and one I ask myself regularly. I don’t think I do. Some posts are closer to my heart and things I really wanted to share with you while others came together surprisingly well but aren’t necessarily on my favorite subject. I like to think that I haven’t yet written my favorite post! Just because I’m all boring and weaseled out of answering the question doesn’t mean I didn’t mean it. It really is a grerat question and one I constantly ask other bloggers. Who’s the last anime character you identified with and why? Is there an anime universe you would want to live in? I hope you answered the last question – what would your job be in that universe? Is there a character trait (physical or personality) that you always love to see? Congrats on the Brotherhood award. Those were some great answers for that post! Thank you. I was very flattered to be remembered! You’re welcome. You should feel very proud of yourself for this award. It’s always random when you get people who get offended at something you wrote regardless of intention. Like I take great offense of you not truly embracing the genius that is the Penguin from Love Tyrants and Fools! How dare you not build a shrine to that magnificent creature! I suspect that taking offense is the only thing some people have to look foreward to when they wake up in the morning. Next thing you know, they’ll be demanding “safe zones” in our blogs for people who don’t want to be offended by anything. I did get a bit of the GoT vibe when I first found your blog lol so that really makes sense. People are really good at getting offended. I’m offended right now that my dog won’t sit in my lap. I guess I just have to live in my offended life. Thank you Kimchi. At least you get me! Frankly, I’m surprised I haven’t offended anybody yet. As for the tag posts, I’m not nearly big enough to be tagged as often as you are, but It says a lot that whenever I do tag posts and have to tag other people, my first instinct is to tag the “bigger bloggers”, because they can probably nominate people and participate thanks to their experience. You could mention that you find a moe show kinda boring. You’ll get death threats! I exaggerate but you’ll get a reaction. Those are loyal fandoms. My most controversial opinion was on reddit. Of course, that was during my shounen trash “Death Note is my favorite anime” phase. I live and breathe CGDCT now. 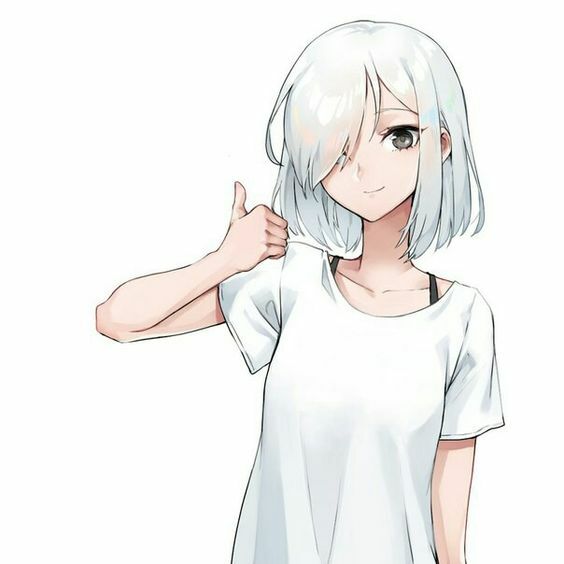 To be honest, the ONLY opinion that I fight people over is people trashtalking my fav anime, After Story, and ONLY THEN if they trashtalk Episode 18. You know exactly who you are. I respect that! Why is CGDT considered seinen? Doesn’t seinen derive from the word senile? Ah, seinen is simply a term that refers to manga targeted towards a demographic above the age of 18. So yes, stuff like Yuru Camp is in the same camp as Monster. I also loves me a good troll and have a few faithful readers who explain to me regularly that women are inferior but apparently not everyone is into that? So many people seem to have trolls and disagreeable people on their blogs!! I only have nice people!… Why do I feel so left out?? Maybe I’m not trying hard enough. Lol! You know it took me a while to find mine. Hang in there, your day will come! Need to find that bootleg! Irina want to join the brotherhood also… It is known. I don’t think I should be happy but I can’t resist a cool girls club! obviously. We need a henchman.